When it comes to food, you cannot deny that Orange County has an addiction for two "meal" times: brunch and happy hour. As a restaurant in the area trying to make it big in every beat, you will likely try those both out to see what the crowd is like. Usually, these special timeblocks stay. 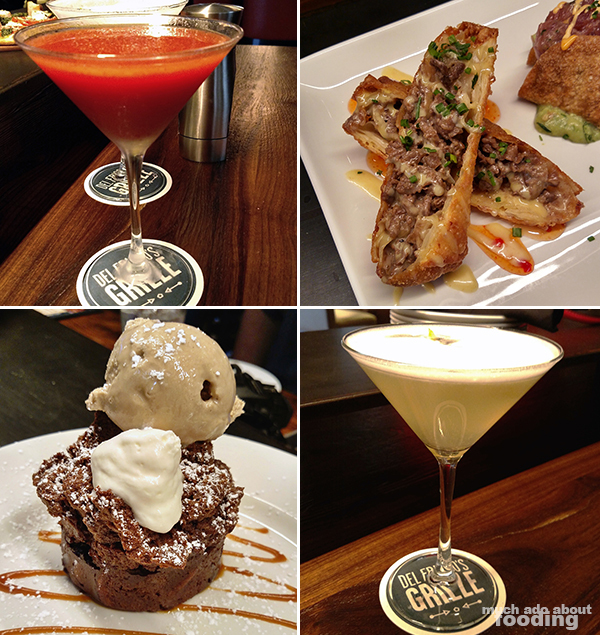 We've tasted Del Frisco's Grille during brunch already and on other occasions but it was not until recently (January 19 to be exact) that Irvine Spectrum's newest major restaurant put out a Happy Hour. Apparently, their guests have been asking for a happy hour for quite a while now so with their customers in mind, the team at this Irvine location put together some specials that may even attract some new blood. This release marks the restaurant as having the first Happy Hour in the company's line which includes several restaurants in southern California, Texas, and more places. The descriptions of the appetizers are fairly straightforward in what they are. I like that they open up all of their flatbreads for the special pricing so that you could order a mix when with a large group of people. While Happy Hour is going, you also have the option of ordering from the regular menu as well. Perhaps you'll consider their delectable Nutella Bread Pudding with Coffee Ice Cream? I say go for it! If you want to venture to give their martinis a try (regularly $12), the VIP is made with pineapple-infused Svedka Clementine Vodka, a sweet mixture that makes for easy drinking. Their Apt. 5D goes in a different direction made with Tito's Vodka, muddled strawberries, lemon sour, simple syrup, balsamic, and freshly cracked black pepper; it is more acidic and jarring in taste. However, you can't go wrong either way. Overall, the options are few in terms of quantity but the quality makes up for it all. 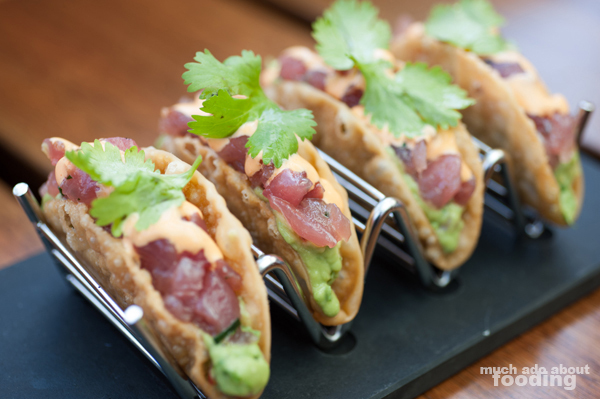 Those ahi tacos are always stunning every time we have had one. Savory cheeseheads will undoubtedly fawn over the cheesesteak eggrolls and with good reason; they are sinfully delicious! 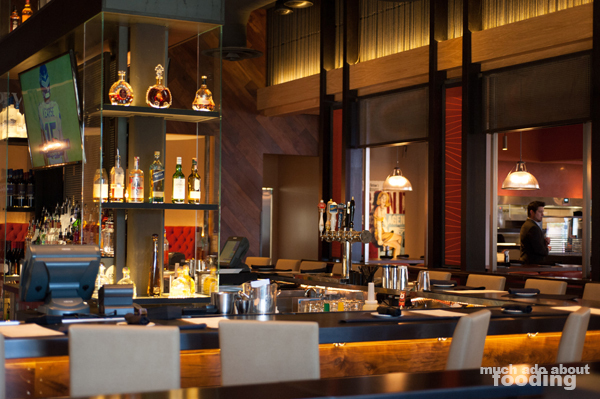 If you want to catch their Happy Hour, it takes place Monday-Friday from 3pm-6pm, and it is located at Irvine Spectrum.